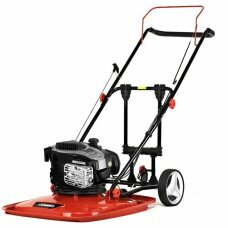 More Than Mowers has an extensive range of petrol and electric hover mowers on offer. Hover lawnmowers are lightweight and easier to manoeuvre – perfect for tackling slopes, banks, rough grass and awkward places. These are ideal for small-medium sized gardens. For advice give us a call or visit our showroom in Melksham, Wiltshire. Or order online for Free delivery to UK mainland addresses. Cobra AirMow 51 550C Petrol Hover lawnmower 51cm Cut The Cobra AirMow series of Hover Mowers fl..
Cobra AirMow Petrol Hover Mower with Wheel Kit - 51cm / Briggs Ready StartThe Cobra AirMow 51B is a .. The Cobra Airmow 51 Pro benefits from advanced technology making it one of the leading petrol hover .. 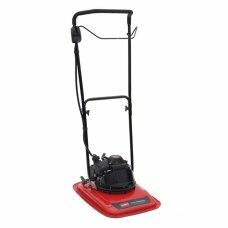 The Toro HoverPro 400 is a lightweight petrol hover mower that has a 40cm (16") nylon Flexiblade whi.. Ideal for medium gardens, this petrol hover mower with 135cc Honda engine is capable of mowing slope.. 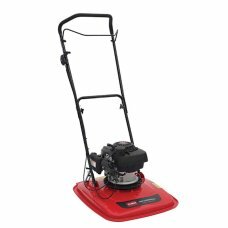 The Toro HoverPro 500 hover mower is a 51cm/20inch cut Lawnmower with a high torque Honda GCV160 4-s.. The Toro HoverPro 550 Professional petrol hover mower is a tough machine, much favoured by commercia..